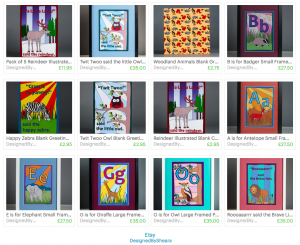 It’s been a while in the making… For the last four years, I have been producing illustrations aimed at tiny tots and the young at heart and sporadically selling items at craft fairs or producing designs on commission. My friends are a wonderfully supportive bunch and frequently ask me what’s going on with it all, am I still illustrating and what plans I have for my work. Well, the time has come and now Designed By Sheara has gone live and public, grabbing the art market with a firm grip, and aiming to adorn the walls of children’s bedrooms and fun-loving adults the world over! 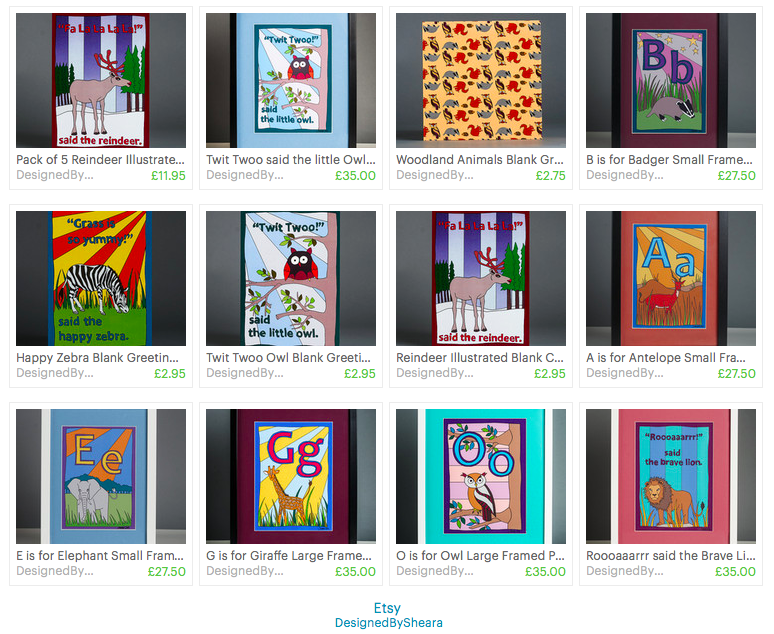 You can find a whole range of brightly coloured products on my Etsy page – framed prints, greeting cards, badges and lots more to come. Always happy to design something specific for the individual, so do get in touch if you can’t find what you’re looking for on my page. And for updates on new listings and a look at moments in the design process, you can follow @designedbysheara on Instagram too.